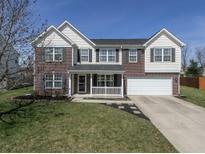 Below you can view all the homes for sale in the Brendonshire subdivision located in Fishers Indiana. Listings in Brendonshire are updated daily from data we receive from the Indianapolis multiple listing service. To learn more about any of these homes or to receive custom notifications when a new property is listed for sale in Brendonshire, give us a call at 317 979 0009. Award winning HSE school system and easy access to 465. MLS#21631351. Highgarden Real Estate. 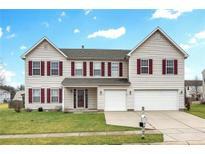 Great home with highly rated Fishers schools too! MLS#21630950. ERA Real Estate Links. Conveniently Located Just Minutes from Shopping, Dining, Entertainment, I-69 and St Rd 37! MLS#21617450. Keller Williams Indy Metro NE. Oversized two car garage with four foot bump out for all your overflow storage, rubbish/recycle bins, mow, bicycles! Amazing space! Come and see! MLS#21626489. RE/MAX Legends Group.